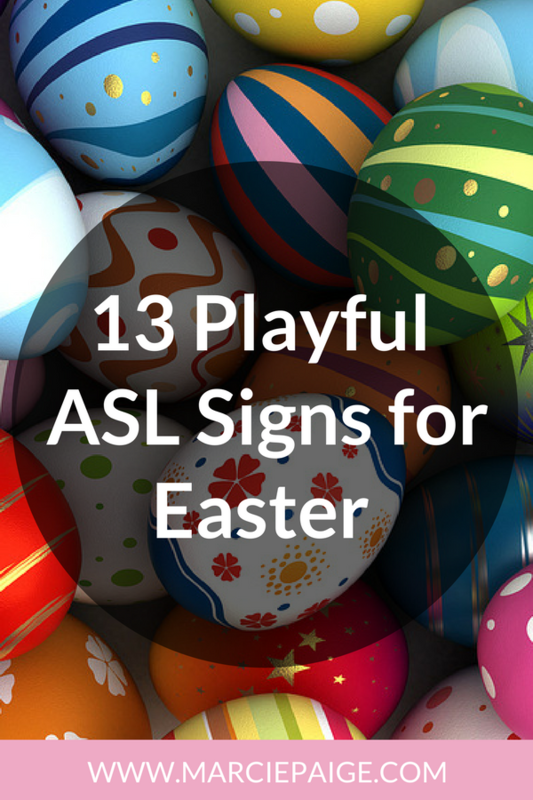 Baby sign language has become quite popular as an early communication tool. Sign language is the only modality that makes it possible to communicate with babies (and toddlers) before they learn to speak. It makes sense that a child who can express their wishes is likely to feel happier + more content. Plus, clear communication = less frustration for you + your baby. Sometimes new parents assume that because our children are still too young to talk… they are also too young to understand language. “Speech” + “language” are two very different things. To understand the difference, watch this video. We have 2 daughters. One born February 2005 + one born June 2007. In the beginning, my husband was a little hesitant about teaching our daughter sign language because he wasn’t convinced it would actually be helpful. At that time, sign language for babies was a fairly new concept (at least for us!) and we didn’t know anyone else who had used this technique. However, once our daughter started signing back at 8 months, and was communicating her needs + wants so clearly, my husband was extremely grateful I took the time to teach her! 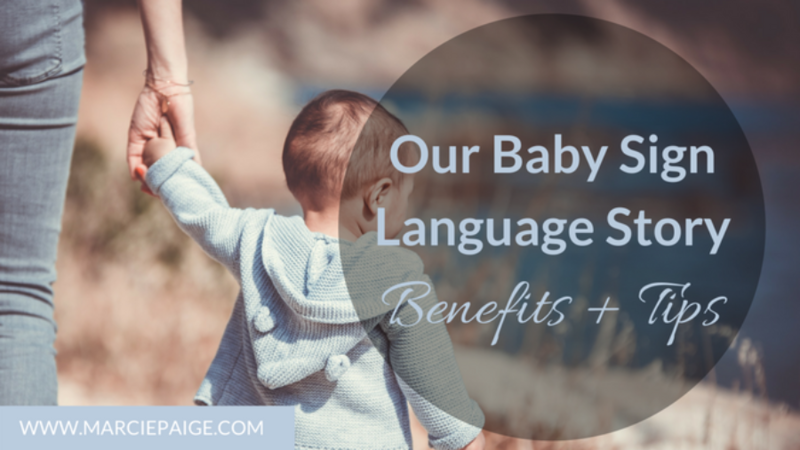 I started teaching my girls baby sign language when they were around 6 months old — and continued to teach new signs (3-5 at a time) as they became relevant — right up until they were 2 1/2 to 3 years old. By this age, our daughters were using spoken words more + more, and signed words naturally slowed down. Eventually, their speech became more fluent, and they stopped using sign language completely. Signing well over 100 words. Constantly surprising me with her level of understanding of the world around her. Happy + content the majority of the time. And the terrible-twos? Non-existant. Seriously!! Looking back, I realize that if I hadn’t taken the time to teach my daughter sign language, I would have never known how perceptive, knowledgeable, and expressive a child under the age of 2 could be. We were able to address her needs more quickly which helped us reduce unexplained crying, whining, and tantrums. Mealtime went so much more smoothly. She would sign MORE if she was still hungry, she would sign ALL-DONE when she was full. And, she would use specific food signs if she wanted something to eat that we hadn’t offered her. Our daughter signed HELP when she couldn’t get a toy to work, take a cover off a marker, or wanted an item up on a shelf that was too high for her. My husband and I both feel we were able to develop a closer bond because of the connections we were able to develop at such an early age. Knowing that she could be “heard” + “understood” at all times made her more self-confident + content than the average toddler. And this is my favorite — we really didn’t experience the terrible two’s – at all! And as a result of combining “speech” + “sign language” (you always SAY the word you’re signing! ), she was an early talker + developed a large vocabulary early on. And best of all, baby sign language helped make our routine daily activities feel more like playful adventures. : Start Slow. Begin with 3-5 signs. Then continue to add 3-5 new signs each week as they become relevant. To get started, grab my free cheatsheet. : Sign Often. Consistency matters. The more often you sign, the sooner your child will start signing back. : Say & Sign at the same time. Your primary goal is spoken language development. Make sure you “say” the word, each time you “sign” it.